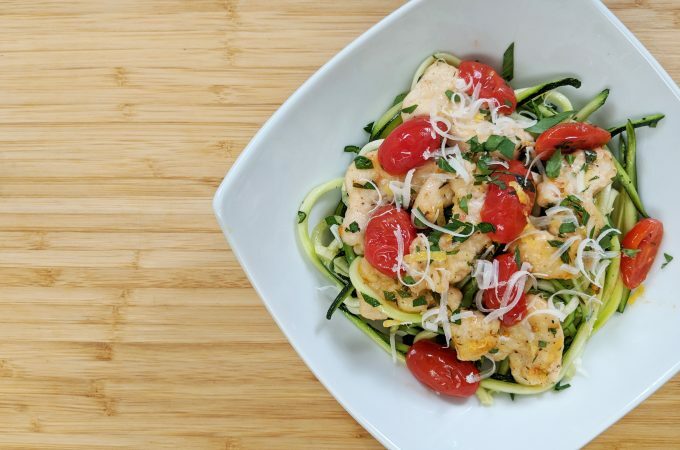 It’s Keto Month here on Tiny Kitchen Big Taste!! I’m kicking off the month with these great Keto-friendly Granola Bars that I have named Tiny Kitchen Zip Bars because they’ll put a little Zip in your step and will help sustain you through the day or during a workout or hike! Over the past year, especially, I have been asked by many folks if I have any Tiny Kitchen Big Taste Keto recipes. While many of my Tiny Kitchen recipes are Keto friendly, they were not created with Keto in mind. So, I thought it would be a good idea to dedicate a month to recipes that are created especially for those who are on the Keto diet. If you’re like me, you’ve heard the term Keto for quite a while but didn’t know just what it is. Keto is short for Ketogenic and, essentially, it is a high fat, moderate protein and low carbohydrate diet that is geared towards getting your body into a state of Ketosis. The state of Ketosis means that your body doesn’t have enough sugars (which are carbohydrates) to burn, so it starts burning fat instead, and it starts becoming more efficient in doing so. Note: I definitely recommend that you check with your doctor before starting a Keto diet, but for many people, it has been a great weight loss solution or even a way to maintain muscle mass while making the body leaner. This Tiny Kitchen Keto Granola Bar is different than many of the granola bars that you pick up at the store because it doesn’t include any grains, which traditionally you find in granola. Instead, it is packed with tons of nuts, which are low in carbs and higher in fat and protein. You can use any kind of nuts that you like, especially if you have a nut allergy to a specific kind of nut. But I think the Tiny Kitchen Zip Bar nut combination is a really nice balance between flavors and textures. 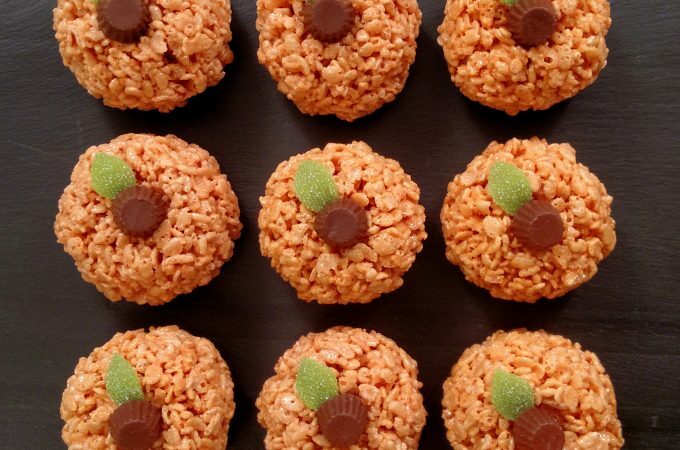 The whole almonds give you a great crunch while being nice and toasty. The pecans…oh the pecans…how I love you! They give a softer texture and a really rich flavor. 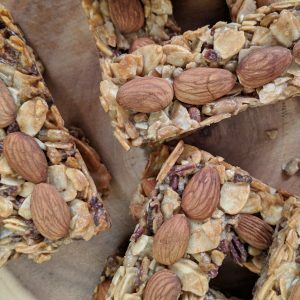 The blanched and roasted almond slices bring creaminess and snap to the bars, while the sunflower seeds seem to bring it all together in perfect harmony. I recommend getting all unsalted nuts that have already been roasted. The only one I might consider using salted is the Sunflower Seeds, but that’s just a personal preference. If you do use salted nuts, then reduce the salt in this recipe. As for the cocoNUT (haha! ), I like to use the wide flaked variety, but you can use whatever your preference. When you’re on the Keto diet, sugar becomes one of the things you have to be mindful of. We are using Monkfruit sweetener for this recipe. I’ve tried a lot of different Keto-friendly sugar substitutes and this is the one I like most. 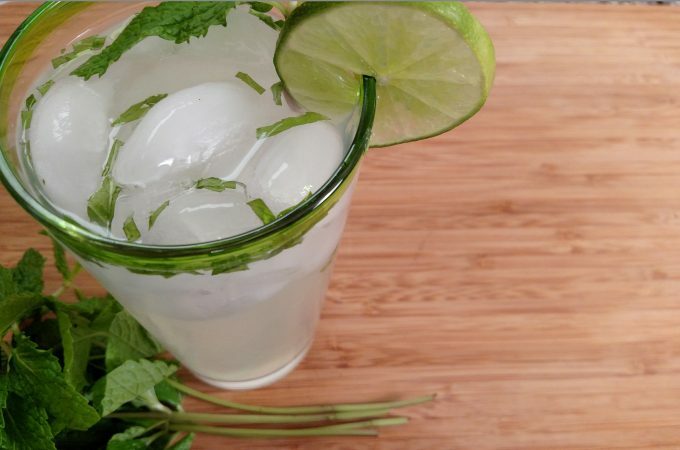 It doesn’t have a bitter aftertaste like Stevia and you can use it as you would regular sugar. Plus, it has a Glycemic Index of 0, so it won’t spike your blood sugar. Generally speaking, it might be a touch more expensive than other sugar substitutes, but if you look around, you can definitely find a good deal. I think the Monkfruit sweetener is perfect in this recipe. It gives the Tiny Kitchen Zip Bar a hint of sweetness that balances nicely with the saltiness. If you don’t have a Granola Bar Pan, I highly recommend you get one. You can, of course, make this recipe in a glass baking dish in the meantime. 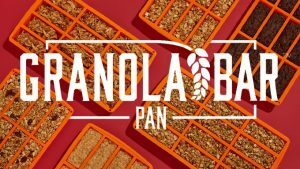 This Granola Bar Pan is great, though. My new friend, Catrina, sent it to me asking if I would give her my honest feedback…and truthfully, I love it. 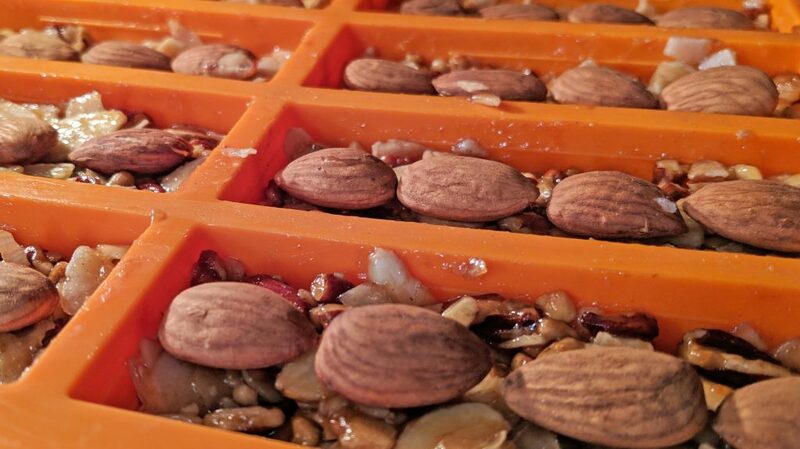 It’s great for making the bars consistent in size and shape and you don’t have to worry about sawing through the nuts, which is not always an easy task. 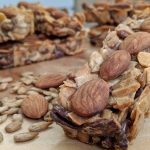 Especially with Keto bars that are all nuts, cutting is always a little more challenging and can get messy. To clean it, I take a brush to the interior cavities for a quick once over and pop in on the top rack of the dishwasher. Ready to go for the next batch! Note: I will always give you an honest assessment of a product, whether or not I am compensated for a review…and I will always let you know if I am being compensated. In this case, Catrina did not ask me to create a recipe using her pan and I’m not getting paid a dime for my feedback. The pan is great I think it would be something that the Tiny Kitchen audience might enjoy too…especially with hiking season right around the corner! I really can’t wait for you to try this Keto Granola Bar recipe! Whether you’re following a Keto diet or not, these Zip Bars are amazingly satisfying, and they store great right on the counter for several days. Let me know what you think! Even better, post a picture of your creation on Instagram and tag us in it (@tinykitchenTV). I always love seeing your pictures! 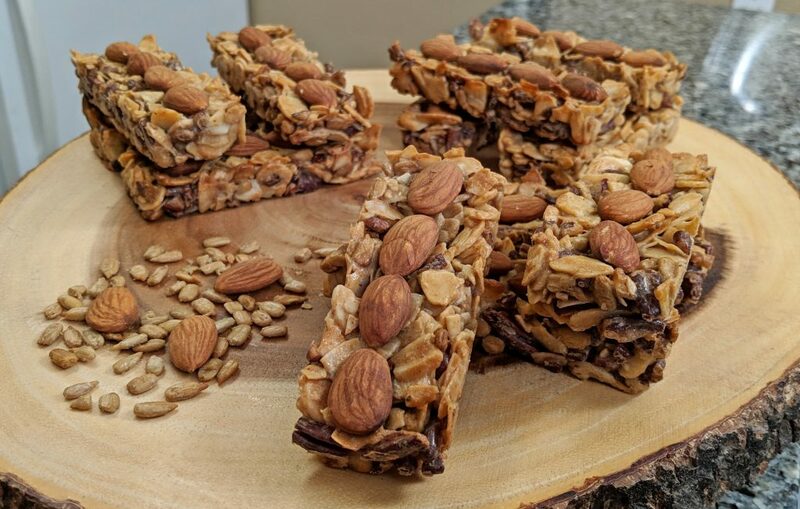 This Keto Granola Bar will sustain you through any hike, help you with your Keto goals and tastes great too! In a Large Mixing Bowl, mix together all the dry ingredients (Chopped Pecans, Sliced Almonds, Coconut Flakes and Sunflower Seeds), except the whole Almonds. In Medium Mixing Bowl, whisk Egg. Add Monkfruit Sweetener and mix thoroughly. Add Coconut Oil to Small microwavable Mixing Bowl. Microwave on High for about 10-15 seconds until melted. Add Peanut Butter to melted Coconut Oil. Stir until smooth. Add Peanut Butter/Coconut Oil mixture to the Egg. Stir. Add the wet ingredients to the dry ingredients. Add Salt (Note: reduce amount of Salt if using salted nuts). Mix until thoroughly combined. Spoon evenly into Granola Bar Pan. (Note: you can use a Baking Dish if you don’t have a Granola Bar Pan). Place Whole Almonds on top of each bar. Bake at 350°F for 15-20 minutes or until golden brown. Let cool. Remove bars from pan.